Time and space doesn’t allow me to write all there is to talk about when discussing Palm Beach County Florida. So I’ll limit myself to one specific hotel and a little about the county. The hotel is the Four Diamond Marriott Resort Palm Beach Singer Island, 3800 North Ocean Drive in Riviera Beach. It is actually situated on Singer Island which is actually a peninsula. But most of Singer Island is in Riviera Beach. You got that. The island is named for the family of the sewing machine magnate. There are 192 rooms all of which were recently renovated. And all are suites. I was told this is the only all-suite hotel in the county of Palm Beach. There are two pools and three restaurants not counting poolside dining. One pool comes with cabanas and the Lagoon pool has a 2 story slide. By the way, all rooms come with separate living, dining and sleeping spaces. Marriott Pool in Palm Beach. They have a fitness center and a terrific spa. I had the mudpack treatment. And it worked for many days until the mud fell off. They’ll take care of you from head to toe. I loved walking the private beach and just a few yards offshore is a man-made reef. Usually, these are great areas for observing fish. In 2017 Conde Nast Magazine voted them the Best Hotel in Palm Beach County. That is a big deal because trust me there are many wonderful hotels located here. If you like golf, the hotel is within minutes of about 150 golf courses, cultural venues, and shopping. Reach them at 561-350-1700 or go to palmbeachmariottresort.com. As for Palm Beach County, it is the third most populous county in the state, the largest town within is West Palm Beach, it was established in 1909 and is reported to be Florida’s most wealthy. There are 29 beach parks, 15 distinct districts and 47 miles of coastline. The beaches are quite inviting. Add the blue water and palm trees and there’s all you need for a day’s activity. Some of the towns include Boca Raton, Delray, Jupiter, Juno, and Boynton. The number one industry is real estate development. There are magnificent houses here plus opulent condos. But for the traveler, tourism is their number one priority. 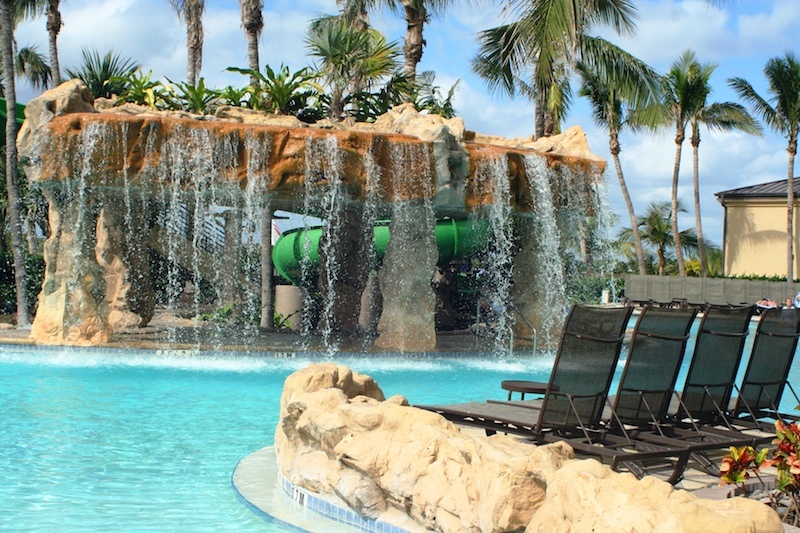 Take your pick of top-notch attractions like Lion Country Safari, Flagler Museum, the zoo, Science Center, Kravis Center, Rapids Waterpark, Loggerhead Marinelife Center, Morikami Museum and Palm Beach County History Museum. Shopping is second to none. Let’s begin with the best known, Worth Avenue. Most of the top names are here along with their top prices. The Avenue is so nice you may not want to go into a store. Mizner Park is a close second. Retail, theatre, and restaurants to occupy your time. Also on your shopping list should be PGA Commons, Palm Beach Gardens, Palm Beach Outlets and City Place. All of these are designed to entertain and separate you from your cash. In short, to be totally honest, I’d settle for any location in Florida in February.